Dutch website MyWindows.nl has revealed a few details about the first flagships running Windows 10, Nokia Lumia 940 and 940 XL, the website has claimed that both will be featuring an Iris scanner and the phones will be made out of poly-carbonate. And eventually, the phones will cost more than iPhone. 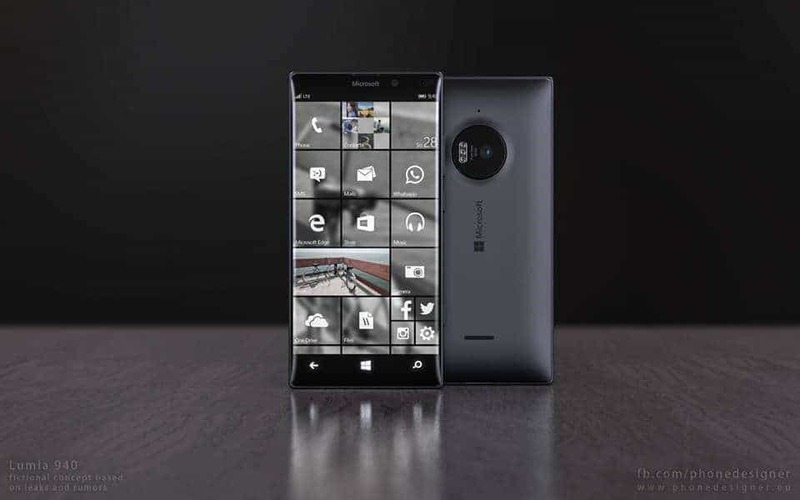 And according to the website, here is the specs sheets of Lumia 940 and 940 XL. The main feature that highlights the build of these phones is the usage of poly-carbonate, which is an unusual choice when premium handsets currently are almost universally made of metal. However, this will make the devices lightweight and strong. But, at the same time the price will be hiked a lot, and they will cost even more than Samsung Galaxy S6 (from $599) and iPhone 6 (from $699). but, I think Windows fans now have a strong reason to go for Lumia 940 or 940 XL, as they get great features, power combined with grace and beauty, all thanks to the poly-carbonate which makes it look very premium and at the same time makes the devices rough and tough. MyWindows.nl also reports that the handset will support Continuum, and that Microsoft will be releasing an adaptor in early 2016 for a rather steep 100 Euros which will enable to feature. Both the devices are expected to launch in November this year.